Those accused of a serious, violent crime could face punishment such as a lengthy prison sentence, a life sentence, or even the death penalty. But it can be difficult to know the legal representation available to you. As you can see on our criminal defense page, every person has protections guaranteed by the United States Constitution that can never be taken away. A right to an attorney remains one of those protections. At Cavett, Abbott & Weiss, PLLC, we provide personalized legal counsel that’s specific to your case and your case only. At our Chattanooga law firm, we believe everyone accused of a crime, regardless of severity, deserves the highest quality of legal representation. We will ensure that our clients understand what to expect from the legal process. In what’s likely the most difficult time in your life, you want someone who you can trust. That’s just what you get when you contact Cavett, Abbott & Weiss. 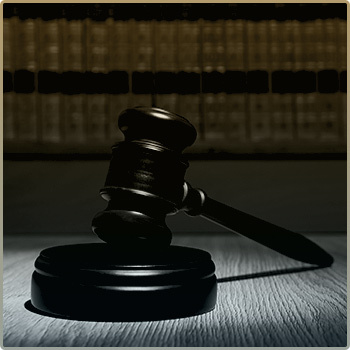 Our firm is dedicated to providing the most effective, efficient, and reliable trial counsel. When we take on your case, one of our violent crimes lawyers will begin by investigating. From there, we can find flaws in contradictions in the state’s account and then use our decades of experience to create the best possible strategy for you. Our criminal defense attorney will use their knowledge of the relevant laws and precedents to properly challenge evidence and protect you from wrongful accusations. Don’t wait another minute. Cavett, Abbott & Weiss, PLLC can help you come out on top of your criminal defense or civil litigation case.